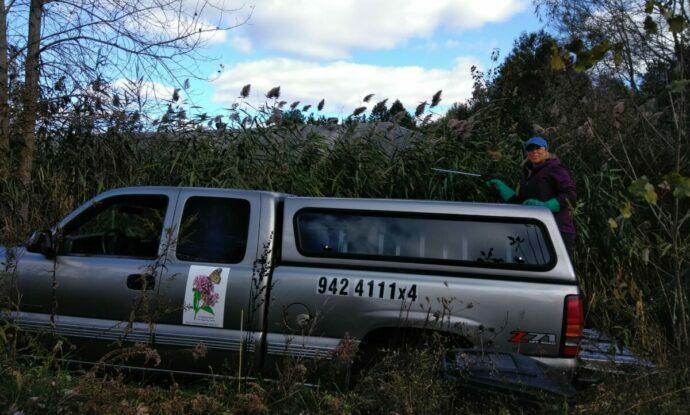 Kent Conservation District’s STRIKE TEAM is in the field taking action on several aggressive invasive species during the growing season. When a non-native plant or animal causes harm to the area it’s introduced to, it’s viewed as “invasive.” This could mean that it’s forcing native plants and animals out of the area, changing the ecological function of the habitat, or is causing damage to the economy or human health. Billions of dollars have been spent nationally trying to fight these invaders. And YOU can help! 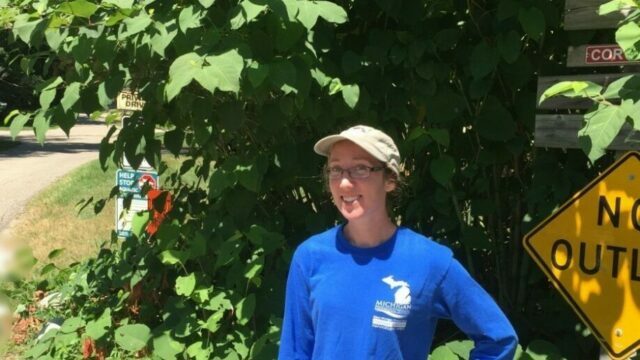 Thanks to State funding through the Michigan Invasive Species Grant Program, Kent CD strike team can now work to control new invaders (termed early detection species). These early detection species like black swallow-wort, jet-bed and Chinese yam, can be the most destructive to our natural areas and yet are evaluated as being the most preventable. Early detection species are eligible for a COST FREE treatment. To request a treatment fill out the link and form. 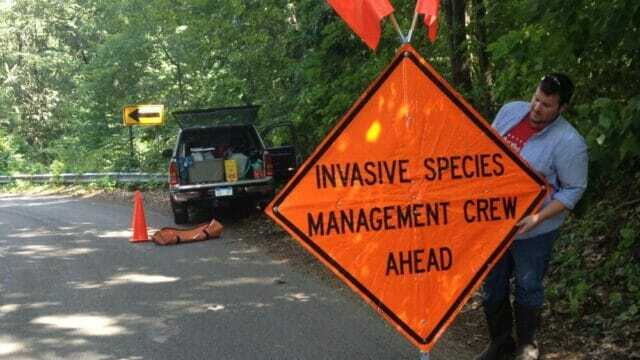 For invasive species such as garlic mustard, oriental bittersweet and other out of the box species the strike team can treat for $75 an hour for a two person crew. This includes herbicide, licensed applicators and site evaluation. The Kent Strike Team can serve everyone from suburban homeowners to landowners with acres in the Conservation Reserve Program. Call our offices at (616) 222-5801 to learn more about this wonderful opportunity for real help on your land. Please contact us if you have concerns about plants on your property, and if you have a picture, please email kentstriketeam@gmail.com. To increase speed of information exchange please include your full legal name (for proof of ownership), address, species of concern and size of infestation. Thank you! 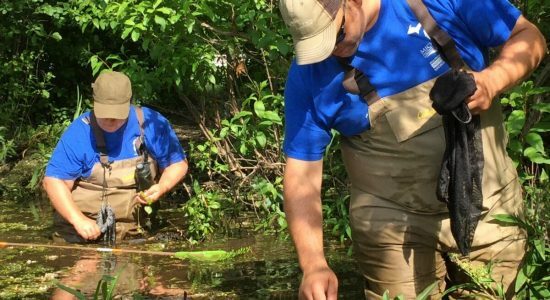 We have joined forces with the West Michigan Conservation Network. WMCN is a multi-county partnership with the goal of raising awareness about invasive species, preventing new invaders from getting established and giving landowners options for controlling the most aggressive invasive species on their property. Keep an eye out for these Top 20 Least Wanted plants as you’re traveling this summer. Prevention and early detection are our best lines of defense. And if you see something, REPORT IT! The Midwest Invasive Species Information Network (MISIN) makes it easy with a handy app or an online form. Invasives Action Kent is a novel and highly ambitious demonstration project designed to assist residents in their efforts in combating the widespread invasive plants, which flourish at a measurable cost to our community. We inform, educate, train, and coordinate volunteers as residents work neighborhood by neighborhood to contain and control the commonplace invasive species already among us.